This quote, in fact, was not primarily directed to criticize the ability of some humans as mathematicians, but was only used as an example of how skill sets can vary within a species. Writing in her classic book, In the Shadow of Man, Jane Goodall outlines the ability of chimpanzees to use tools, such as using stems and sticks to capture insects from recesses. She also describes ways observed in a laboratory setting for chimpanzees making tools—such as fitting tubes together, or uncoiling a wire, to reach food placed outside the cage. 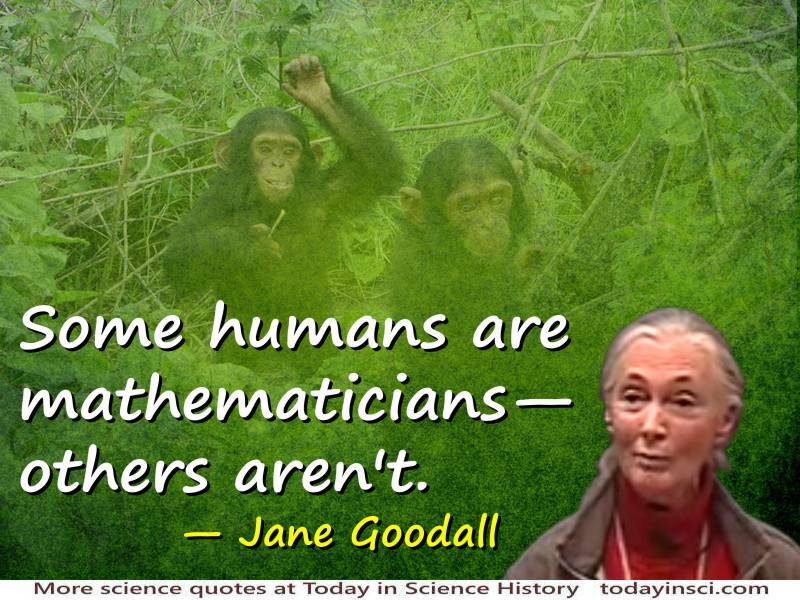 Science Quotes by Jane Goodall.